Buy Simply Lager Beer Kit - 40 pints in the UK from our online shop or directly from our independent Scottish store. This beer kit makes a full golden crisp lager, light & refreshing with honey notes and a lingering bittersweet finish. Beer kit to make 40 pints of lager beer at home. We sell real Simply and other Beer Kits & Cider Kits directly from our shop in Scotland and online throughout the UK. View more products from Simply. Where can you buy real Simply Lager 40 pints safely online? If you are wondering where you can buy Simply Lager Beer Kit - 40 pints safely online in the UK, then shop with us. 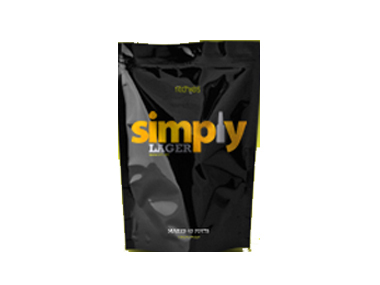 Simply Lager 40 pints - Simply Lager Beer Kit - 40 pints in Beer Kits & Cider Kits and Homebrew.